If you have a solvent exposure injury claim, our experience pays. When the term solvent is used many people automatically think of the glue like substances. In simple terms a solvent is a chemical product used to dissolve or dilute other substances. 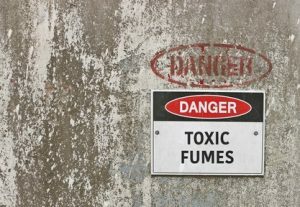 Commonly referred to as Volatile Organic Compounds (VOC) they are not only part of everyday business life but commonplace in our everyday lives. Injuries received as a consequence of contact with solvents can sometimes be difficult to diagnose as some will prompt an instant reaction while others may take some time to emerge. If you have received injuries as a consequence of solvent exposure and you believe somebody has been negligent then you may well be entitled to compensation. Many people have inadvertently drunk liquid solvents. When you begin to consider the dangers of solvents it is vital that employers ensure they are locked away safe when not in use. Those who come into contact with solvents in the workplace will also require specialist protective equipment. Where an individual is using machinery or carrying out a particularly difficult task any level of disorientation brought on by solvent exposure could lead to an accident and serious injuries. There are occasions where particularly strong solvents can lead to unconsciousness and death. Provide initial and ongoing training with regards to health and safety with particular emphasis on the dangers of solvent exposure. When pursuing compensation for solvent exposure in a court of law the need to prove negligence is central to any claim for compensation. In most solvent exposure claims cases it is the Health and Safety at Work Act 1974 and potential dereliction of duty which is used to prove negligence. While many solvent exposure injuries will emerge fairly quickly after contact, it may take some time for others to emerge. Therefore anyone who comes in the contact with solvents on a regular basis and has concerns about their health should visit their doctor as soon as possible. Loss of taste can attract compensation of between £15,300 and £19,920. Where the claimant encounters a loss of smell the range of compensation is between £19,920 and £26,230. Total loss of smell and significant loss of taste can seriously impact a person standard of living and therefore attract enhanced compensation of between £26,230 and £31,220. Total loss of taste and smell is a form of disability and will attract compensation in the region of £31,220. The inhalation of solvent fumes which causes long-term residual damage but limited impact on lung capabilities will attract compensation of between £4,240 and £10,040. Chest damage leading to a degree of long-term disability will attract compensation anywhere between £24,950 and £43,710. Traumatic chest injuries leading to a long-term physical disability and reduced life expectancy can lead to compensation of between £52,390 and £80,250. Severe chest damage leading to the removal of a lung and potential long term heart damage, resulting in severe pain and suffering, will see compensation from £80,250 up to £119,650. A short-term aggravation of existing medical conditions such as bronchitis where a full recovery is expected within months will attract compensation of between £1,760 and £4,240. Relatively minor wheezing and breathing difficulties where a full recovery is expected but the victim suffers short-term anxiety issues can lead to compensation from £4,240 up to £14,420. Where a full recovery is expected but an existing condition is aggravated on a long-term timescale this can lead to compensation of between £8,480 and £16,580. Severe short-term bronchitis and breathing difficulties, with a full recovery expected, but including varying levels of anxiety will prompt claims of between £16,580 and £24,950. Long-term breathing difficulties and dependence on inhalers with no definitive prognosis and impacting working/ private life will attract compensation anywhere from £24,950 up to £43,710. The development of emphysema and serious long-term breathing difficulties, which restrict physical activity and impact sleeping patterns, could see compensation from £43,670 up to £55,830. Full-blown lung cancer causing severe long-term pain and impacting life expectancy would see compensation from £55,830 up to £77,580. Full-blown lung cancer where the condition worsens and death is inevitable will attract compensation of between £80,250 and £108,370. Exposure to solvents which brings on relatively mild asthma, bronchitis and chest problems of a short-term nature will prompt compensation up to £4,110. Relatively mild asthma symptoms could prompt compensation from £8,480 up to £15,300. Bronchitis and breathing difficulties which may take a few years to recover, thereby impacting social life and working life, often see compensation of between £15,300 and £20,950. Chronic asthma and constant use of inhalers together with a negative impact upon employment prospects and an uncertain future could see compensation from £20,950 up to £34,280. These are by no means the only medical conditions associated with solvent exposure but they give an idea of the compensation available for sensory damage and other issues. Where exposure to solvents has been ongoing for some time and the claimant’s health has been deteriorating, medical records will be very useful when trying to prove negligence. If possible photographs of the accident location/ injuries, witness statements and details from the company’s accident book, potentially showing similar incidents, can help to build very strong supporting evidence. While a record of events is always useful, where long-term or short-term solvent exposure is in question it will give the courts a fuller picture. Once you have gathered all of your supporting evidence you should contact a personal injury solicitor for advice on pursuing compensation. Presenting your solvent exposure claim for compensation with supporting evidence and a detailed account of what has happened will allow a solicitor to review your case. Where they believe you should go ahead and file a solvent exposure claim they will likely want to deal with your claim themselves on a No Win No Fee basis which basically removes your liability to pay legal expenses while the case proceeds in exchange for a success fee if the claim is won. If you’d like to know more on how our No Win No Fee agreement works or to discuss your solvent exposure claim for compensation please contact us today.